I made this image while visiting Monument Valley Utah in September. 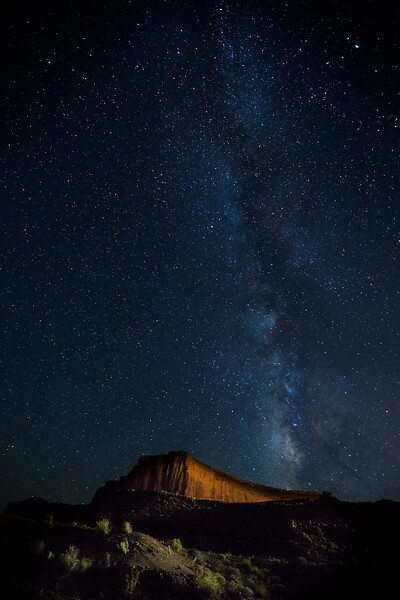 My original plan was to photograph the Milky Way rising over the famous buttes. But because of the time of year, the Milky Way was rising on the other side of the valley. We were about a 1/4 mile from our hotel, so as I looked up at the skies to plan my shot, I noticed a dim light from the distant hotel closing on the landscape. So as i captured the Milky Way with a long exposure, the ambient light painted the foreground for me, resulting in a photo I was very happy with. 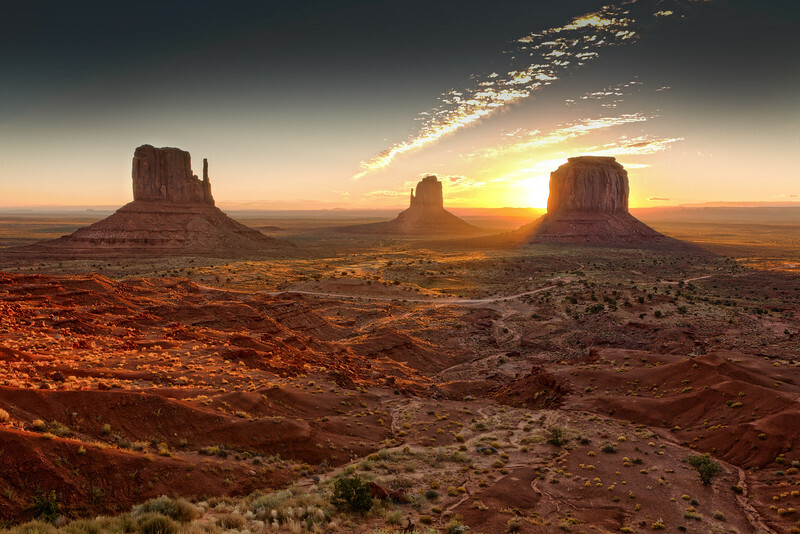 Another favorite from Monument Valley. 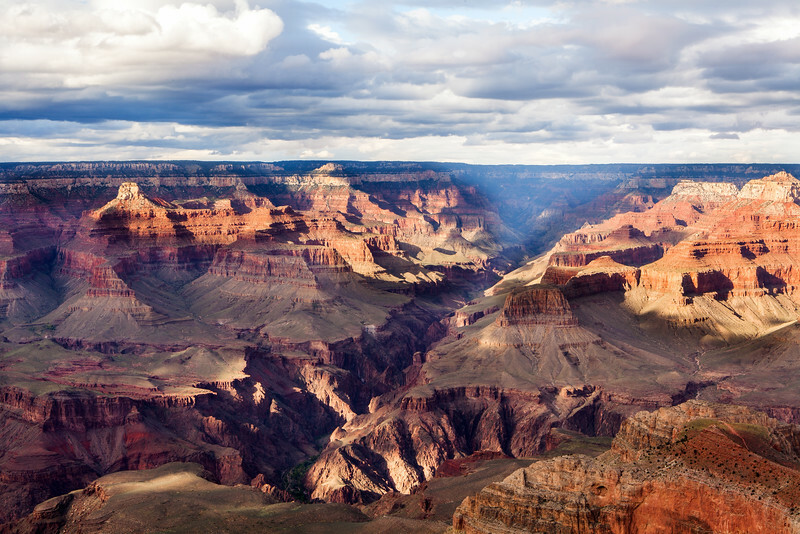 This location is known around the world for it's amazing sunrise and sunsets. One of the perks in staying at the View Hotel is you can wake up and walk to a spot with this view with in 5 minutes from your hotel room door! I was setup before sunrise and knew all I had to do now was wait. As the sun began to break the horizon, I quickly saw i was going to get an intense glow from behind the right butte. This worked out better than I had originally planned. I bracketed 7 frames (multiple exposures) which did a great job at bringing out the sun glowing off the desert floor and rocks. One thing I remember most about this particular shot is that while shooting, it was absolutely silent except for the sound of a light breeze. I received word mid-2015 I would be travelling to Paris France to attend a friends wedding. I knew this would be a great photo op. 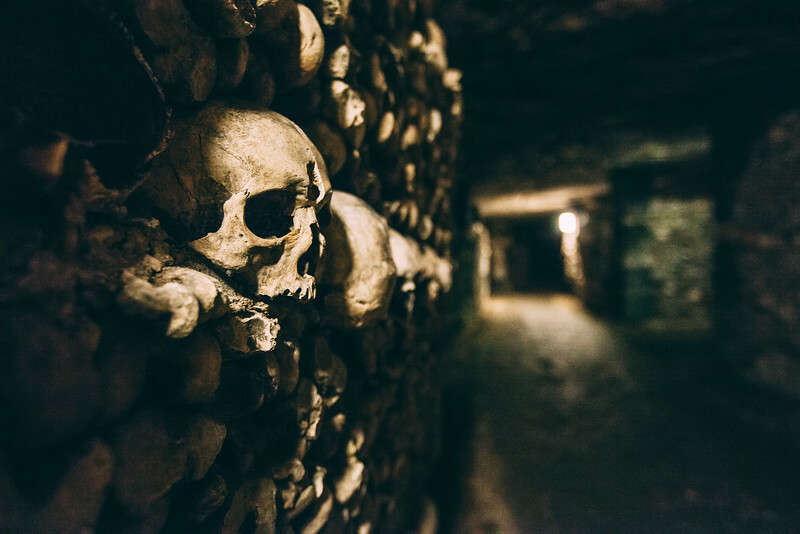 But the FIRST thing I thought of was my long time dream of visiting and photographing The Catacombs under the streets of Paris. I knew this would be a photographic opportunity like none Id ever had. The history of this location and the visual impact of these bone-filled limestone tunnels was the stuff movie sets are made of. I spent almost 3 hours down there shooting. The most common question I've been asked is, "was it spooky or creepy"? The answer is not really at all. It is a bit surreal though. And I'm happy I've finally made it to this location and captured some amazing photos to remember it by. Back home here in the Dallas area, we received record breaking rainfall during the Spring months. 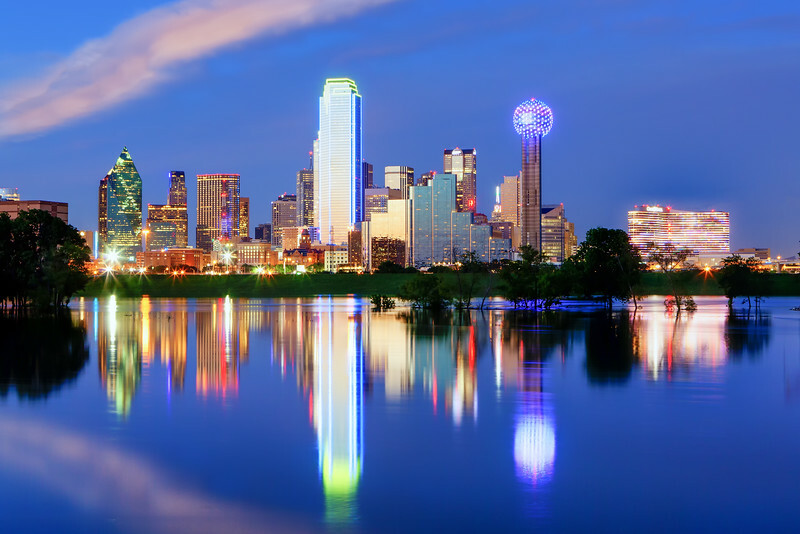 The major watershed for the City of Dallas is the Trinity River. A friend and I headed down there one evening, hoping to catch some nice evening light on the West side of downtown with a reflection on the swollen river. And, we found just that! Just before sunset, the glass buildings of downtown lit up beautifully. And with no noticeable wind, the river was smooth as glass. This image was made with 5 exposures, blended to bring out all the shadows and highlights the scene contained. I was really happy with it. When Halloween season rolled around I knew I had to get out and create something creepy. I contacted my friend Alora, who is always up for a good photoshoot idea. When I pitched the idea of a lost soul in the forest, she was immediately on board! We spent a couple hours getting her makeup and costume just right, then another 3 hours in the woods shooting various poses and scenes. This one was by far my favorite. 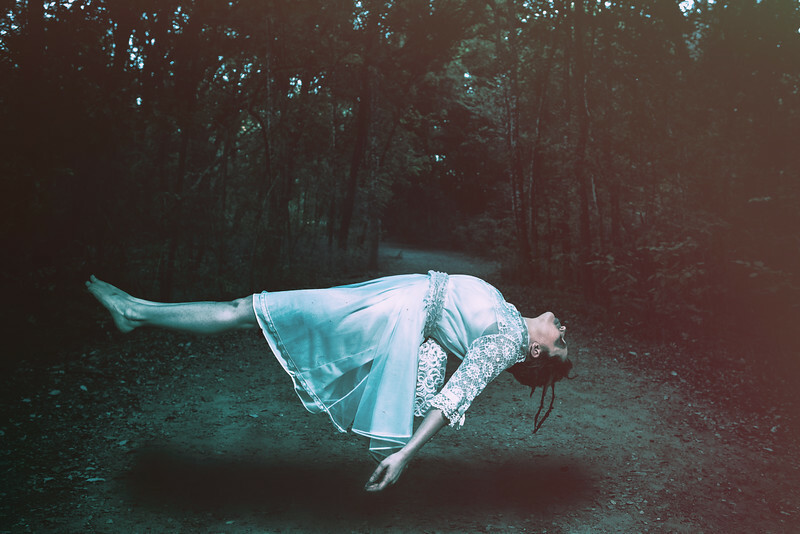 Alora floating, like a possessed... lost soul in a haunted forest. I often go on what I call, photo drives. This is where I just get in the car with my camera and drive. 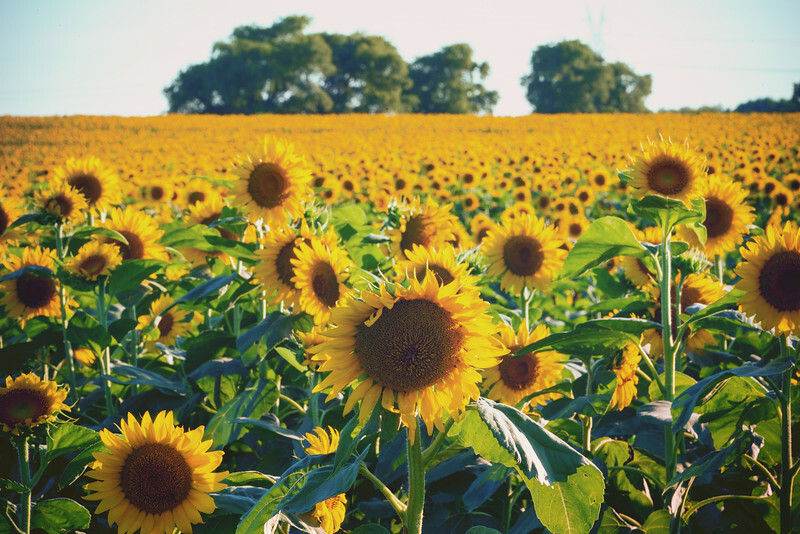 On one such photo drive I came across this amazing field of sunflowers. I had a blast spending an hour in this field making photos. 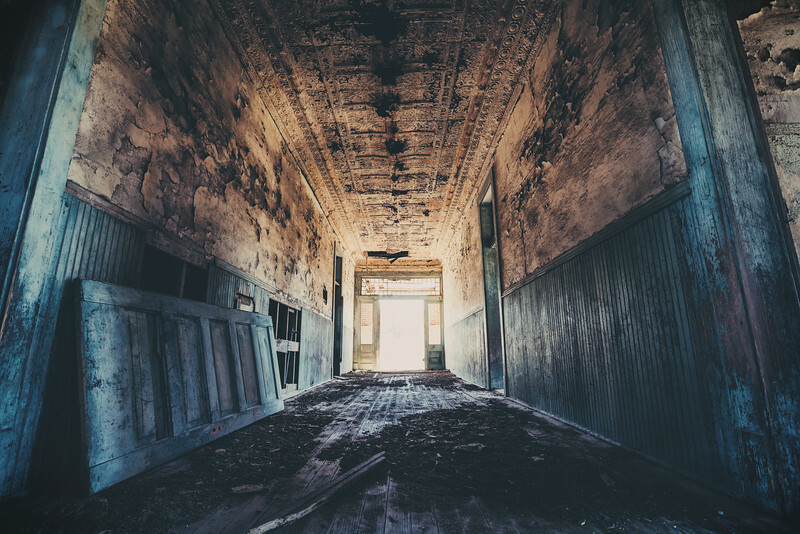 One of my first photo shoots of 2015 was this abandoned school house in Indian Gap Texas. Long forgotten and quickly falling apart, it was a pleasure to have the opportunity to photograph this unique building. You could almost hear the echo of the students from 80 years ago in the hallways. Environmental portraits are one my favorite types of photography. 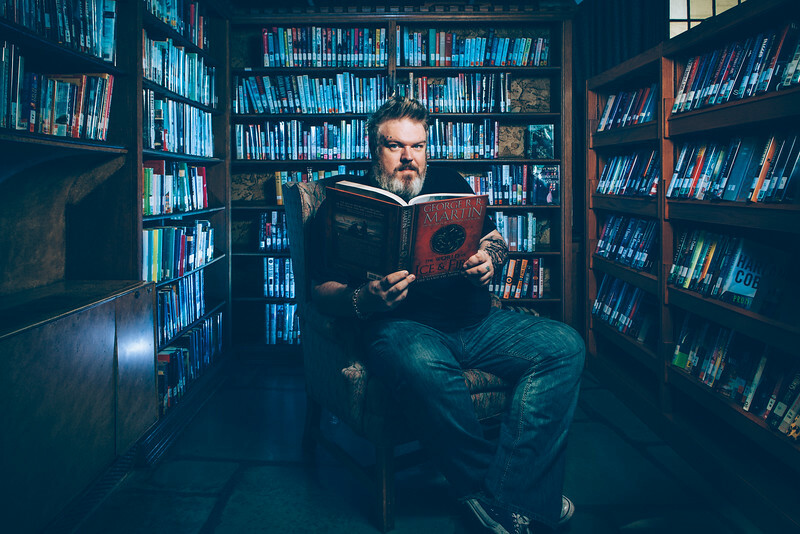 So when I was brought on to travel to Columbus Ohio to photograph actor Christian Nairn who plays Hodor on the show Game of Thrones, I knew id have a great opportunity. We ended up doing the shoot in a library modeled after a medieval castle. They wanted me to change the sterile, florescent lights look of the room and transform it into a more dark and moody dungeon feel. And to top off the challenge, I was given only 15 minutes with the actor! 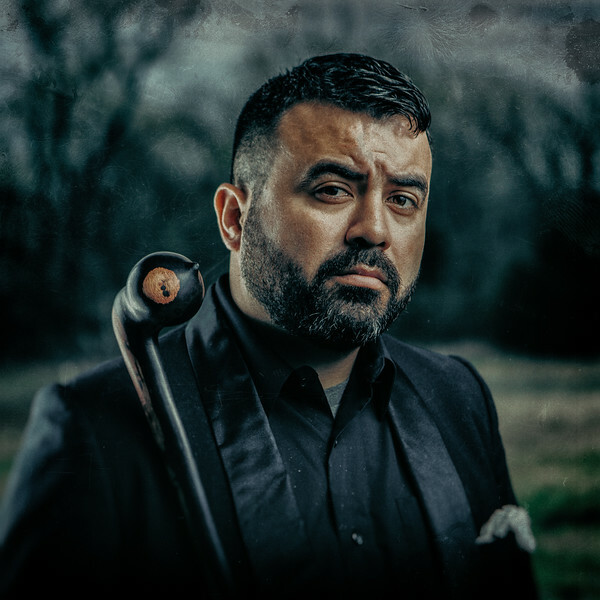 Luckily, I was given early access to the location, so I was able to plan out my lighting and know exactly what I wanted to do on the day of the shoot. Mr. Nairn was a pleasure to work with and everyone was happy with the images. 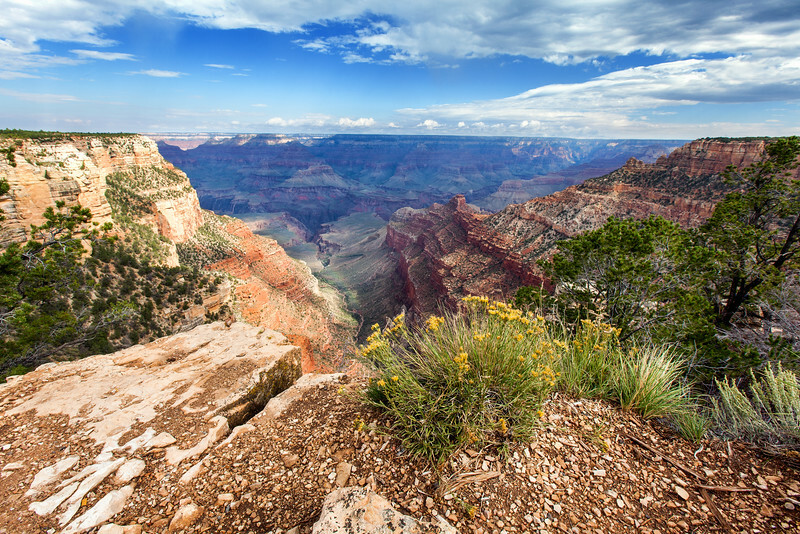 Standing on the South rim of the Grand Canyon is something words, nor photos can describe. But I was pretty pleased with this spectacular view I was able to capture. 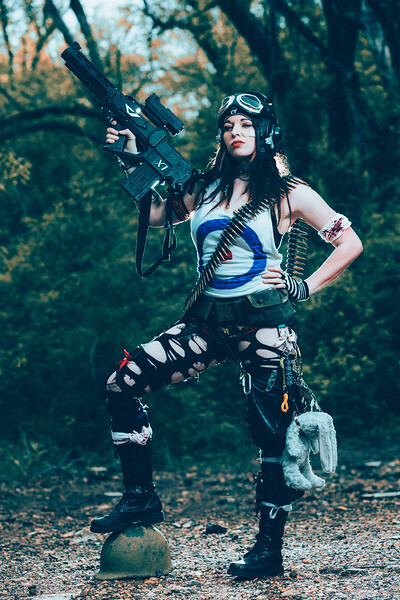 Another project with my friend Alora worked out to perfection when we re-created the infamous comic book character, Tank Girl. It was difficult to decide which image from this shoot would make the Top 15. But, I kept coming back to this one. So much character and attitude, just like the "real" Tank Girl would have! 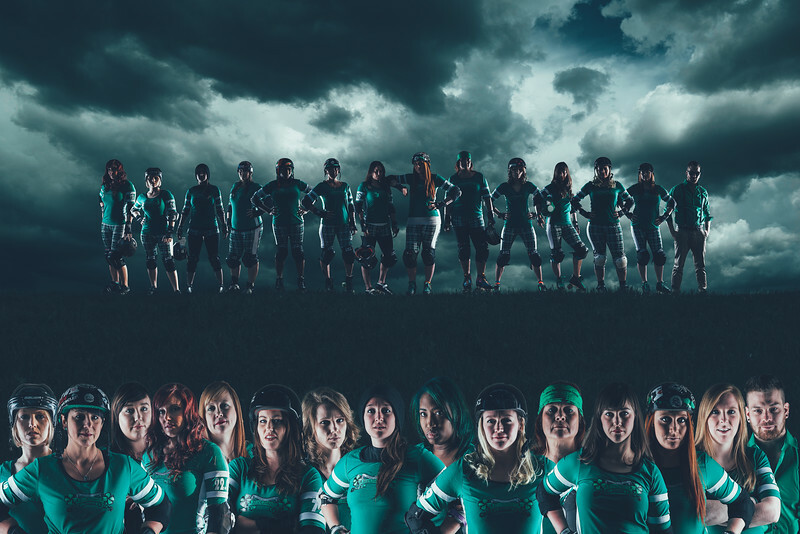 When I was approached by the roller derby team, The Hickory Street Hooligans, about their 2015 team photo I knew they'd have some clever ideas. This year they wanted me to create a composite similar to the WWII cable series, Band of Brothers. I loved the idea! We spent a couple hours shooting the individual poses, which turned out to be the shortest part of this project. Next came hours in photoshop, piecing together their individual poses into a similar look of the shows poster. It was a lot of work, but turned out to be well worth it. And that gets it into this final 15! At number 14 of the "best of" is another portrait. It also turns out to be from another roller derby team photoshoot. This time The Elm Street Nightmares came to me with the idea for a creepy styled photo, with each of them wearing costumes or carrying props involving something which gives them nightmares. Now, I'm not sure what Joel... their coach, has nightmares over. But this portrait was by far one of my favorite of the year. For me, 2015 was also the year I really got into aerial photography. Impressed with what I saw being created, I purchased a DJI Phantom 3 Professional. This little quad-copter allows me to capture a different perspective on everyday scenes. It opens up all new creative windows. For this image, I knew i wanted to photograph into the evening sunlight. I found a location in an empty back alley and carefully flew it straight up over my head, kind of like a periscope. 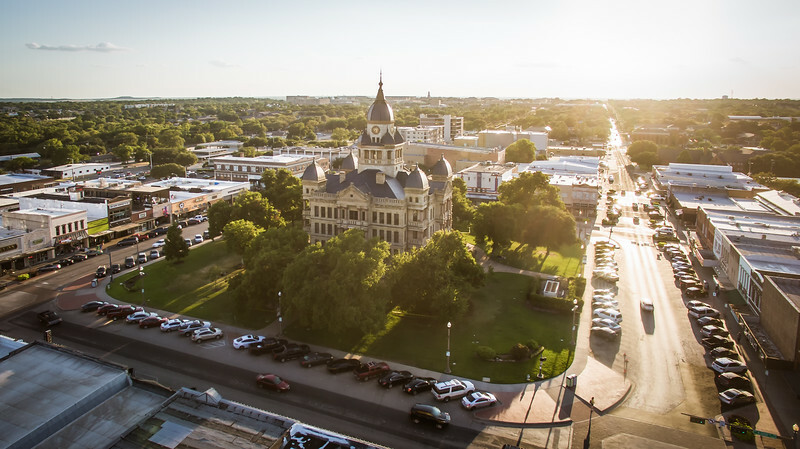 This enabled me to capture this amazing view of the the historic downtown Denton Texas square in the golden evening sunlight, and without having to fly over anyone but myself in the process. And that wraps up my photography for 2015. Thank you to all who have followed along. I can't wait to see what next year holds. Plans are already in the works!